This report, just released after the election of President Obama, speaks to the continued progress of our nation towards opening the doors of opportunity to all. Ohio’s African American community has seen tremendous achievement in recent decades. Political development, educational and business success, as well as the emergence of a strong Black middle and upper class of Ohio’s Black community, highlight a few of these accomplishments. Consider 1970: only 1,400 Black elected officials (local, state and federal) existed in the entire nation. By 2001, Ohio alone had more than 300 local, state and federal Black elected officials. By 2009, four of the six largest cities in the State had African American mayors. In 1970, only 10% of Ohio’s Black population had attended college, and only 3.9% of Black Ohioans had attended college for four years. 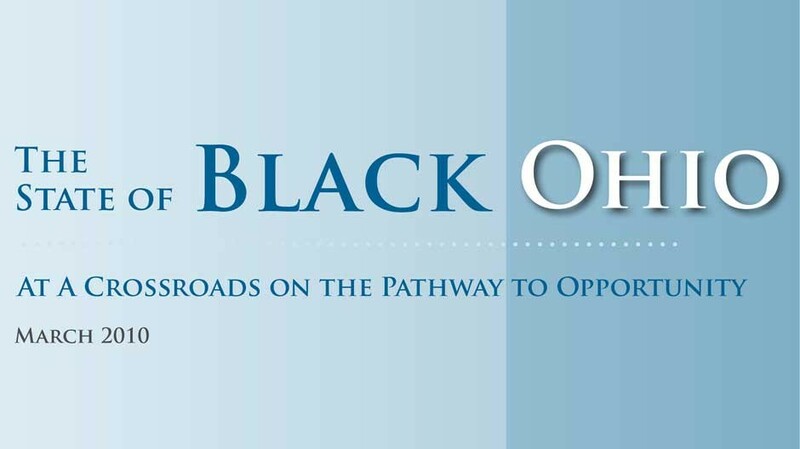 By 1990, 14% of Black Ohioans earned a college degree; by 2007, this figure increased to 21%.2 High school graduation rates for Ohio’s Black students increased from 62% in 1995 to 71% in 2006.3 Between 1992 and 2002, the number of Black owned businesses in Ohio increased by 57% and sales for Black owned businesses increased by 61% (in inflation-adjusted 2002 dollars).